DETAILS - This handmade candle is made of stearin, paraffin and wax. The item is painted with acrylics. The candle in the shape of an owl will be a nice present for your boss or teacher. 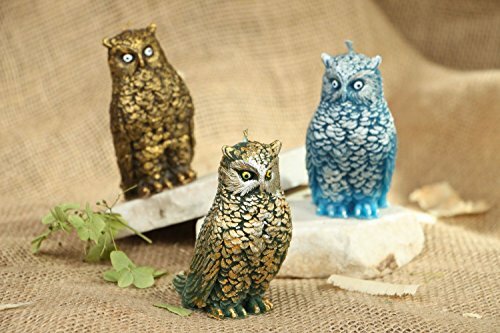 A person will be surprised to get to know that is not just a figurine of owl but a real candle. CARE - Keep in a dry dark room at the temperature from -20 to +25 Â°C. To protect the product from damages and direct sunlight.